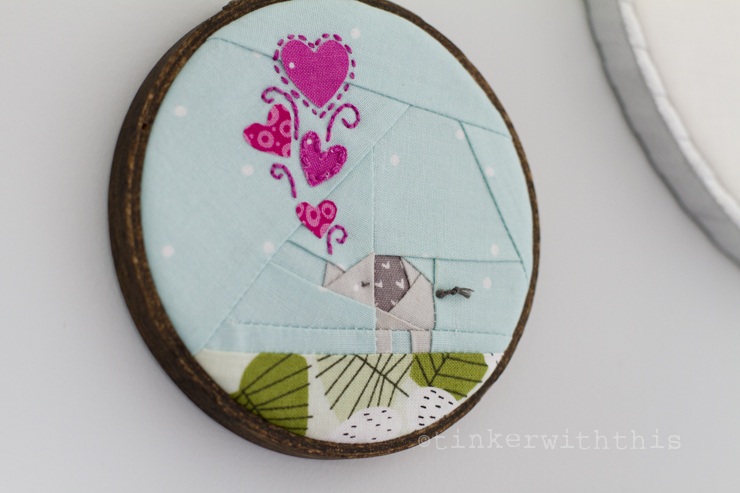 Susi over at TinyToffeeDesigns makes the most adorable tiny paper pieced patterns ever. I was super excited when she asked me to be a part of her blog hop BUT also, really perplexed. You know I'm not a paper piecer, right Susi? And then I looked at the pattern and thought, she gave me the hardest one?! But oh boy, was I wrong because there are no hard ones! This little pattern was so easy to whip up. And if I can do it, anyone can. I started with the little elephant, making one slight change, which was adding the 'ground' he's standing on. Then I extended my image size by adding extra fabric to match the sky I already started with. Susi designs these for 1" hexies but they're so versatile. Once I had a picture that was large enough to fit a 4" embroidery hoop, I ironed the whole thing onto a piece of adhesive stabilizer (Pellon 987, or whatever weight works for you). The hearts were created using Pellon 805 Wonder-Under, a dual sided interfacing that basically turns any fussy cut fabric into ironable 'stickers'. After the hearts were placed and adhered, I started adding the details like a tail and the air. 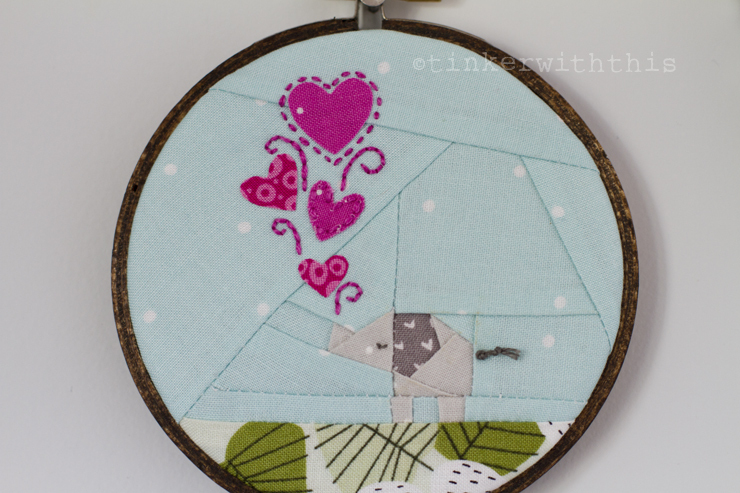 Once I was all finished, I tightened that little elephant into the hoop, trimmed the excess fabric and hot glued the edges to the inside of the back of the hoop. That's it! 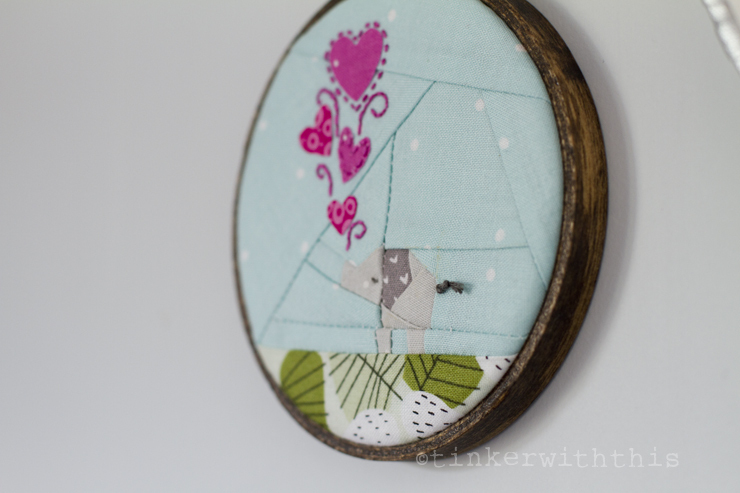 This was such a cute tiny pattern to work with so check out TinyToffeeDesigns etsy shop to get yours. And if you have any questions, just let me know! Oh my, is that darling cute!!! !